We highly appreciate your interest in what we do at IEU. We offer smart information tools that help you bringing order into your information-driven business lives, keeping you abreast with the fast changing regulatory environment we are living in. We deliver sober facts from first-hand sources, reliable, usable and quotable in your own internal reporting. And we react quickly whenever your information needs change. Since 2014, we have been specializing on regulatory and policy information sources on several levels: the United Nations, the European Union, and national states, such as the UK, France, Germany, Poland, Ukraine, and Russia. We gather information from these sources, day and night, aggregate them into specialized policy monitorings and send them to our clients by mail. The next day, we publish the content tables of our monitorings on this website - for the sake of transparency. Our clients define the policy fields they need to follow. In each policy field, they name the major issues, or keywords, they are interested in. Finally, they tell us which people in their organisation should receive the monitoring service. We build the monitoring, including specialized tools, and are able to deliver within three working days. Our daily monitoring mail contains between 3 to 50 items, depending on the real output of the sources covered. During the summer break and winter recess when the output is near zero, we switch to a weekly delivery. Within the subscribed policy field, clients can update their keywords by mail. If they want to add more policy fields, we extend the contract accordingly, with special discounts applying starting at four policy fields. Clients get the output of all relevant bodies involved in the regulatory process - with the reference of information clearly marked. We map the executive, legislative and judiciary bodies involved, as well as friendly, or competing, stakeholders. Our sources have increased to more than 2000, since 2014. We monitor output in English, French, German, and Russian. Some of our clients told us that they are short of staff to care for a the evaluation of daily monitorings, every day. In theses cases, we offer our INSIGHT EU or IEU Dossiers. A dossier focuses on a single policy issue, but covers this issue in depth and continuously for at least one year as a living document. The frequency of updates depends on the output, but we try to update the dossiers once every two weeks, at least. Our dossier enables you to "doc" the progress of any regulatory process. You can forward it to new team-members, or use parts of it for your own internal briefings. Each dossier includes a content table in which updates are clearly marked. 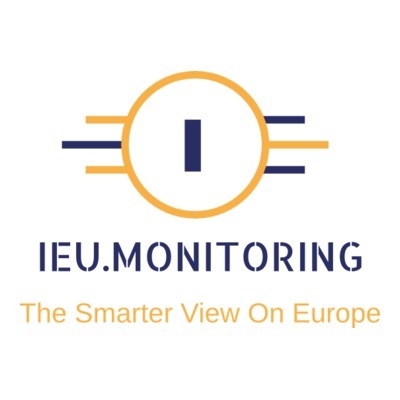 Our IEU Monitoring pricing is modular and starts @ 125,00 EUR per month and policy field. 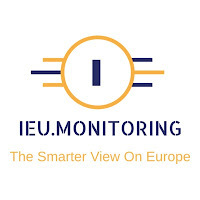 Our annual IEU Dossiers start @ 450 EUR per month and subject (all prices are subject to VAT depending on where you are based). Free monitoring trials are available here. Dossier are not part of the trial period. Easy single subscriptions are available here. But if you want to bundle several products, we recommend to use our order form, or to get in touch with us directly. Our special advice: Some applications do not display the monitoring mailings correctly (Blackberry and Lotus Notes). If you use these devices you can strongly improve your reading experience when opening the monitoring in your web browser instead (link below the masthead). And if you use Google Chrome you can even "print" (= save) the monitoring as a PDF file and thus create your own archive. * IEU Monitoring, IEU Agenda, IEU Telegram and IEU Dossiers are product lines and protected titles of Comecon Media GmbH, Düsseldorf, Germany.